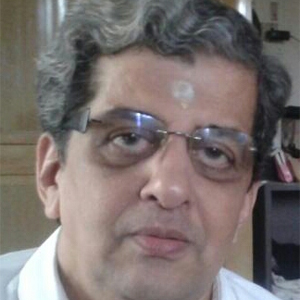 N Sathiya Moorthy is a veteran journalist, political and foreign policy analyst based in Chennai, with a particular interest in contemporary socio-political history of Tamil Nadu, the rest of India and also neighbouring nations like Sri Lanka and Maldives. Yet, India and Tamil Nadu remains the mainstay of his study and his writing, thinking and talks. Throughout the late Eighties and the Nineties, Sathiya Moorthy had predicted the course of national politics and that of Tamil Nadu, through a deep understanding of the nation’s history and a deeper knowledge of how societies and politics needed to be acknowledged together – later extendable to the study of India’s southern neighbours, as well. . Sathiya Moorthy is at present Director, Chennai Chapter of the Observer Research Foundation, the multi-disciplinary Indian public-policy think-tank, headquartered in New Delhi.